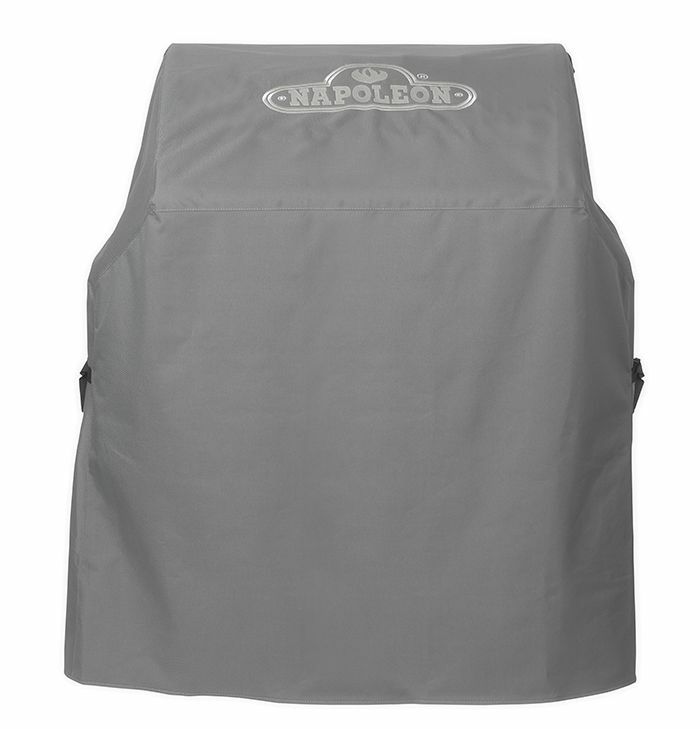 Protect your T495 series grill with this high quality grill cover. This grill cover is made from heavy duty PVC polyester. The material is UV protected to prevent colour fading and features a 3-inch ventilation strip to reduce moisture buildup under the cover. This cover features a large embroidered Napoleon logo to show your Napoleon pride and two metal hanging loops for storage when the grill is in use. Triumph 495 BBQ Cover Protect your T495 series grill with this high quality grill cover. This grill cover is made from heavy duty PVC polyester. The material is UV protected to prevent colour fading and features a 3-inch ventilation strip to reduce moisture buildup under the cover. This cover features a large embroidered Napoleon logo to show your Napoleon pride and two metal hanging loops for storage when the grill is in use. Triumph 495 BBQ Cover is rated 2.0 out of 5 by 1. Rated 2 out of 5 by IP9534 from Not functional Had to return this item. It's fits the BBQ only when the shelves are folded down. Not convenient when barbecuing 2 or 3 times a week.